Inner Landscapes is broken down into eight parts but it is difficult to distinguish where one ends and another begins. 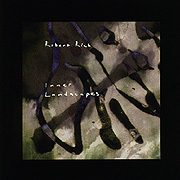 Excerpted from one of Robert Rich's epic three hour performances, Inner Landscapes is a CD length representation of his live music circa 1985. Much in the vein of Rich's trance and drone all-night sleep concerts, this CD captures the completely improvised, thick atmosphere of the event.